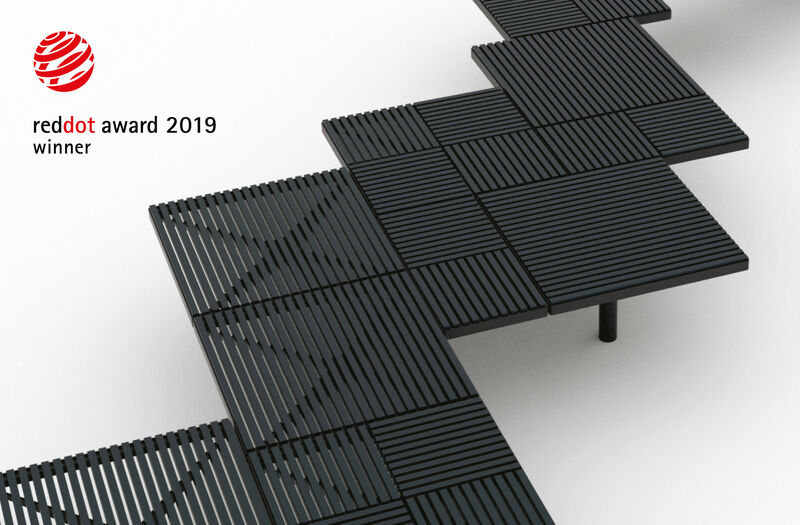 Design studio mmcité1 boasts yet another major award, this time a prestigious 2019 Red Dot design award. 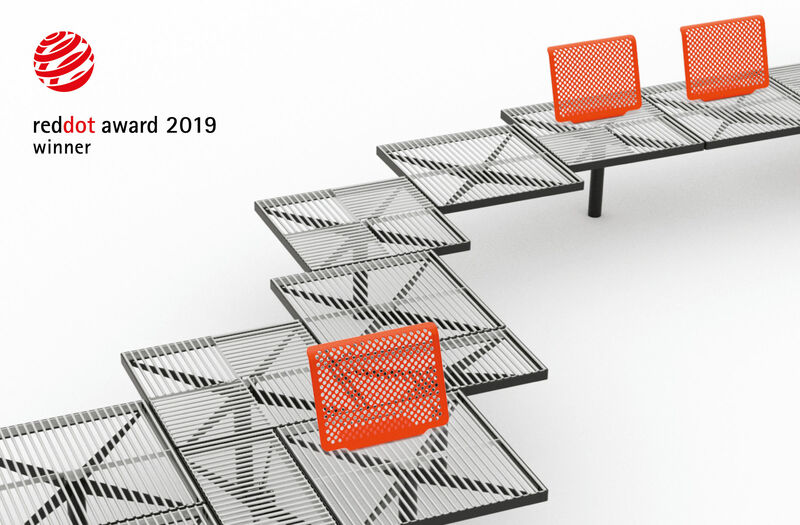 An international jury of leading experts from around the world has crowned the unconventional Pixel seating system, made of leftover materials. 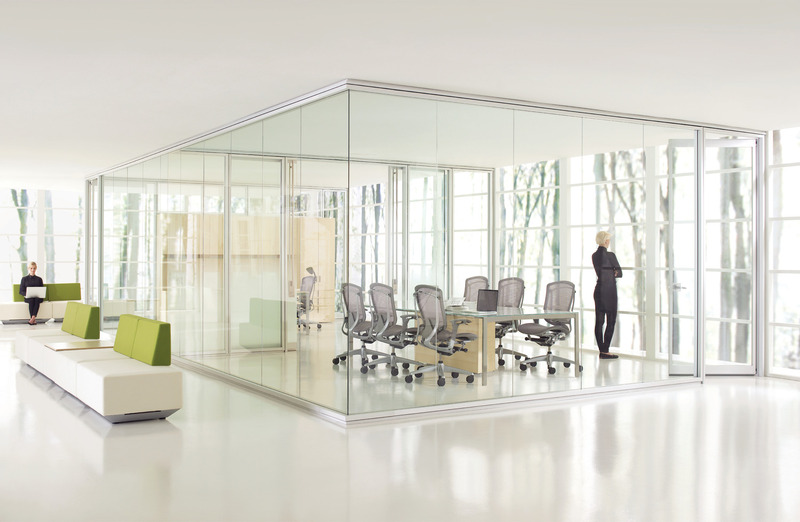 Representing the award winning product were David Karásek, chief designer of mmcité1, and design duo Herrmann & Coufal. 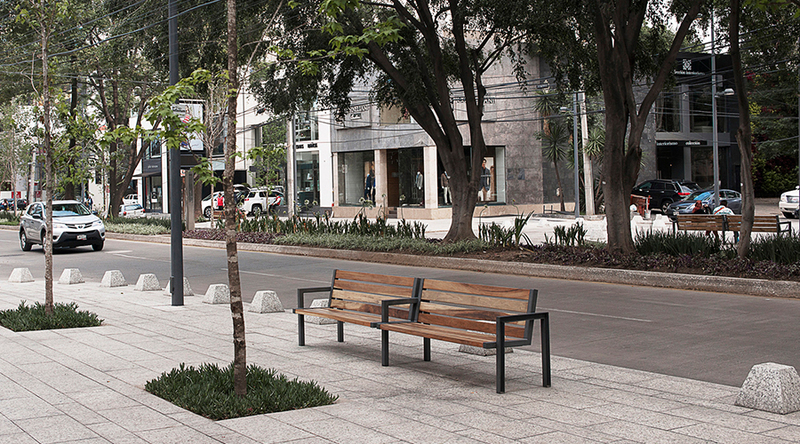 Design studio mmcité1 has been designing and manufacturing street furniture for almost twenty-five years, and once again it demonstrated its sense for innovation, as well as proving that it is no stranger to eco-friendly products. 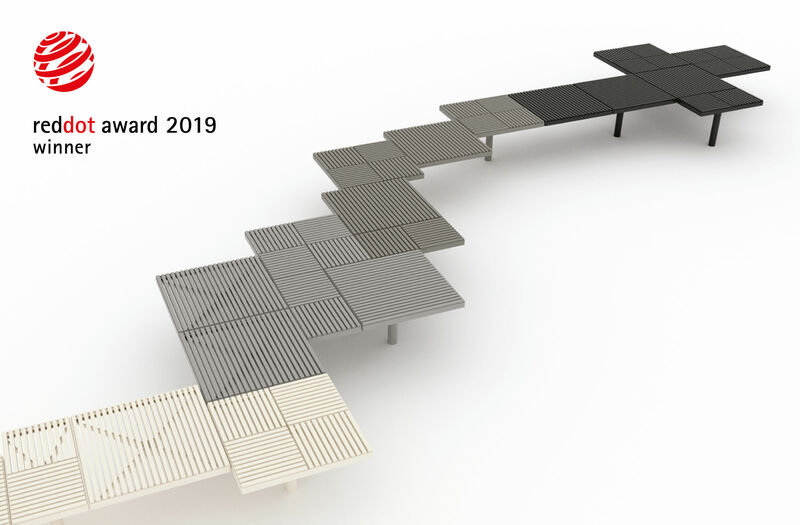 mmcité backed upcycling – using material that would otherwise be thrown away – to create an outdoor seating system which stunned audiences with its variability and fresh design. 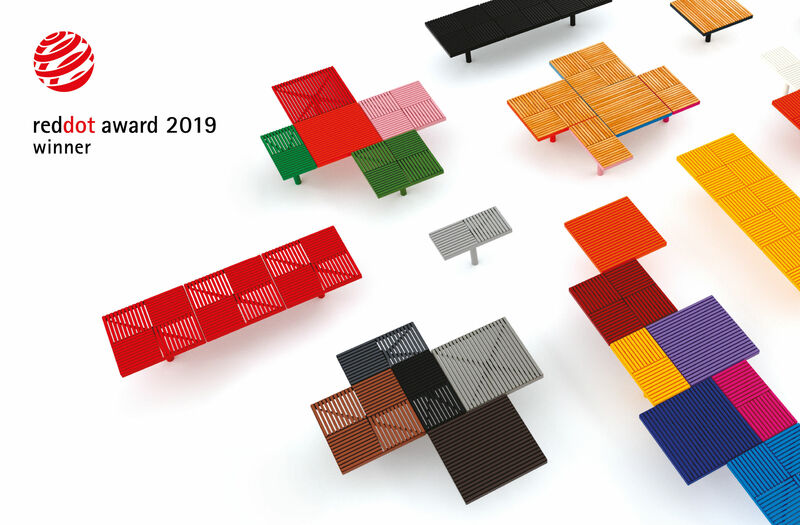 As the world’s most prestigious design award, the Red Dot Award was the most pleasant of surprises. 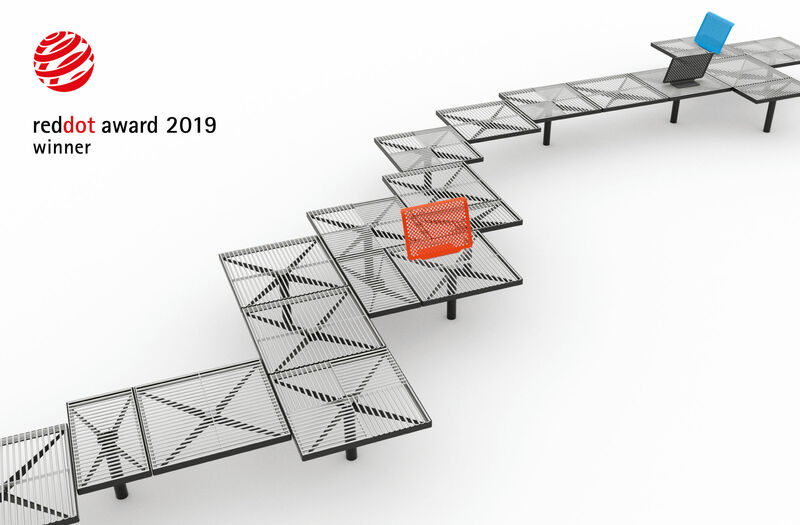 Every year the Design Zentrum Nordrhein Westphalen gives out the Red Dot awards for the best product design achievements of the year, and only one percent of entrants come away with a prize. Pixel was first unveiled to the Czech public at the Landscape Prague Festival, where David Karásek, Eduard Herrmann, Matěj Coufal and Viktor Šašinka demonstrated its variability with an experimental installation at Prague's Vítkov Park. A Pixel arrangement in the shape of the Czech flag marked the centenary of the Czechoslovak Republic. The seats are still there for visitors to this day, since the citizens of Prague requested the installation be made permanent. Pixel's success is not limited to its Red Dot Award. 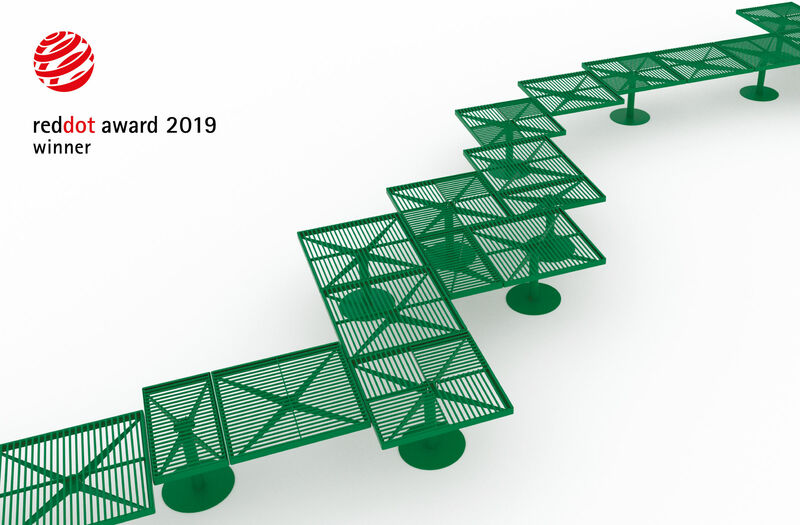 The product took designers David Karásek, Eduard Herrmann and Matej Coufal to the finals of the 2018 Czech Grand Design awards in Prague, where they finished runners up in the Designer of the Year category. 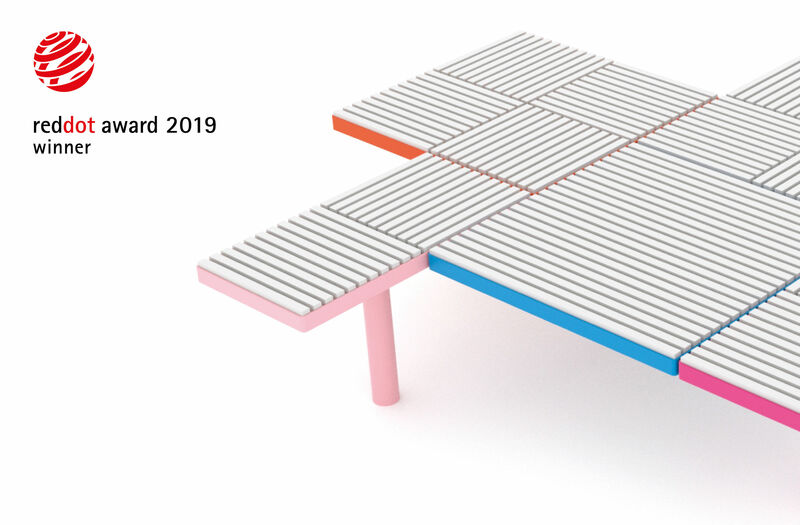 It also scooped an honour in the Outdoor category at the 2019 EDIDA awards, which are given out annually by Elle Decoration magazine.